Welcome to the Ridgegate neighborhood in La Jolla. Ridgegate is located adjacent to the Windemere gated neighborhood with a collection of large scale homes in a private and secluded area. The large majority of properties found here are two levels with a small handful of one story properties. The location is ideally situated to offer wonderful city views as well as the downtown San Diego skyline. 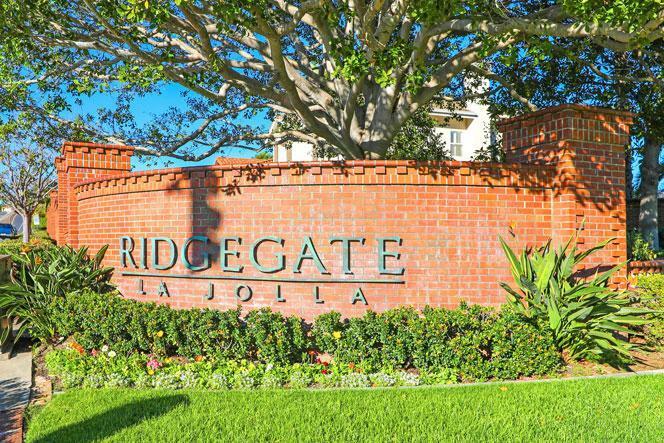 We are proud to showcase all the Ridgegate homes for sale here in La Jolla. This includes detailed property and school information, property square footage, bird’s eye view, aerial map, and the exact date Ridgegate homes were listed. Our local team of La Jolla real estate agents are here to answer any questions you may have on any home or condo in the city of La Jolla. 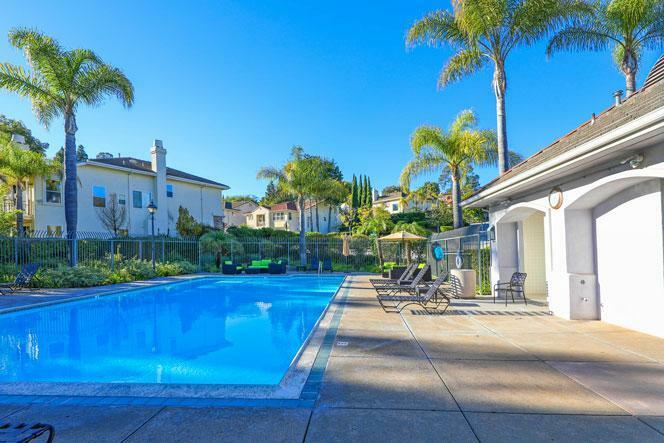 Please contact us at 858-200-7562 to view homes in this neighborhood. The Ridgegate community is rather small with homes located off the main street of Ridgegate Row. At the beginning of this street is where the community clubhouse can be found and is pictured below. There is a good size pool with plenty of room for sun bathing and barbecue. The community also has many parks throughout the neighborhood as well as a dedicated sports court and children's playground.